The De-Longhi ESAM2800.SB is a bean-to-cup machine that promises reliability at an affordable price. It’s the perfect machine for those who enjoy filling their homes with the aroma of freshly ground coffee while practising their milk-steaming skills, but without having to spend a lot up front. 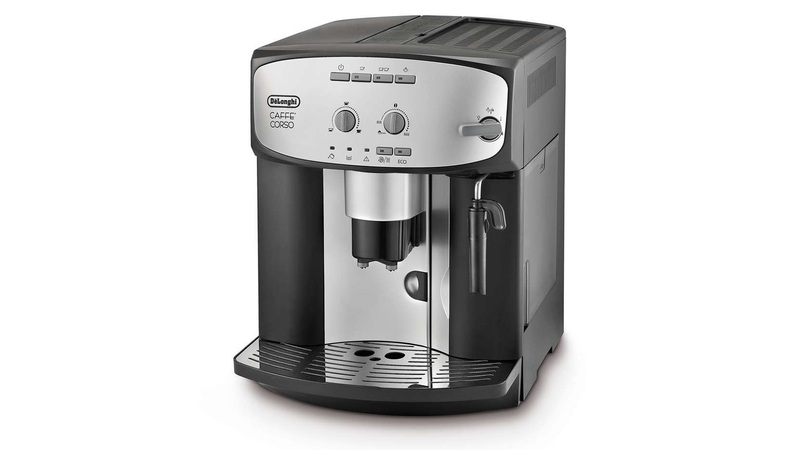 Here’s our De’Longhi ESAM2800.SB review. See also: The 12 BEST Coffee Machines of 2018. The De-Longhi ESAM2800.SB is not designed as a ‘push a button, walk away’ kind of machine, so if you’re looking for fully automated we suggest you check out our list of the 8 BEST capsule coffee machines of 2018 instead. However, with its integrated grinder, milk frother and 1.5-litre removable water tank, the De-Longhi ESAM2800.SB is brilliantly designed for the budding barista. The attached milk wand that hangs from the side is one of the best on the market. 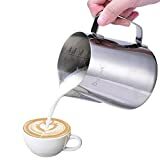 It steams and froths milk fast and to a perfect temperature. This also means once the coffee has poured, users can add Lattes, Flat Whites and Cappuccinos to their Espresso and Americano drink list. Brewing the coffee is easy with the De-Longhi ESAM2800.SB. Its self-priming system means it is always ready for use and once the dials are turned to the desired brew (amount of water and strength), a simple push of a button will see a perfect pour, starting with the beans being ground in the conical burr grinder. This grinder has seven settings for coarseness, allowing you to customise the taste. The process of grinding to pouring can be quite loud – perhaps excessively so compared to other bean-to-cup machines – but if you can put it up with it, the reward is high-quality coffee. Cleaning a bean-to-cup machine is, typically, a little harder than other home coffee brewing units, but cleaning the De-Longhi ESAM2800.SB is surprisingly easy. With a completely removable brewing unit, a detachable 1.8L water tank and automatic rinsing and decalcification programmes, taking care of this machine both inside and our has been made simple. The descaling mode is especially important to note as the De-Longhi ESAM2800.SB doesn’t come with a water filter. Additionally, a well-thought-out feature is the grind pot being part of the drip tray, meaning easy access to the part of the machine you’ll be cleaning the most. The design of the De’Longhi ESAM2800.SB machine is nothing special. It’s practical and basic but wouldn’t be a talking point amongst guests. 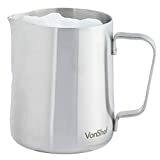 However, the build quality is sturdy and its chrome-on-black look makes it look more expensive than it is, and its dimensions of 28.5 x 36 x 37.5 cm mean it will fit unobtrusively on most kitchen benches. The De’Longhi ESAM2800.SB comes equipped with a large 1.8L water tank which is great for making multiple coffees at one time. Located on the side of the machine and can be removed via the front allowing for refilling without moving the entire machine. Additionally, the ESAM2800.SB’s removable drip tray means you can use your favourite mug, whatever the size. The De’Longhi ESAM2800.SB is one of the best bean-to-cup machines on the market right now and at the most affordable price. It makes fantastic coffee with a perfect crema from beans every time and is just as reliable with ground coffee. If you love coffee and can put up with a bit of noise and don’t mind the basic design, then look no further than the De’Longhi ESAM2800.SB. Read next: Sage by Heston Blumenthal BES870UK Review: Become a semi-pro BARISTA at home.